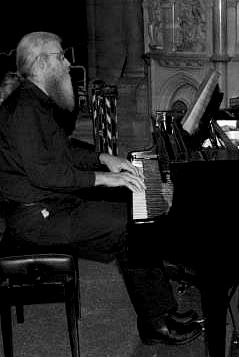 We took part in a lovely summer concert at St Bartholomew’s, Lostwithiel to raise funds for Cornwall Hospice Care. The weather was clement, the audience numerous and enthusiastic and the musical programme, which we shared with Lostwithiel Town Band, interesting and varied. The Ladies sang their hearts out and sounded magnificent in the warm acoustic of the church. They were a perfect musical foil for the rousing tones of the band and mutual admiration was expressed during the interval when they shared some refreshments. Our President Thelma gave one of her humourous monologues with the help of the unflappable Rico, the compère Tamsin Thomas kept the pace flowing and everyone sang Trelawney at the end – a really good evening’s entertainment for a really worthy cause. The concert organisers tell us that over £800 was raised and we were delighted to be part of this sterling effort by so many. Our next concert is to support the work of Penhaligon’s Friends. Saturday 22nd July 7.30 at Truro School Chapel. 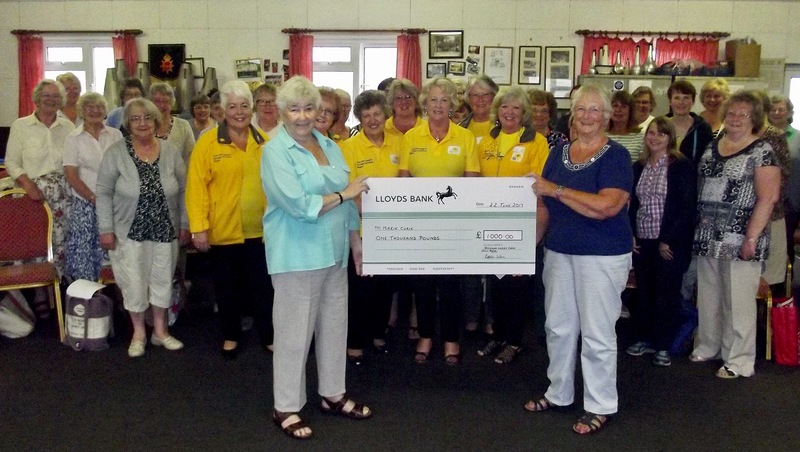 President Thelma and deputy treasurer Connie hold aloft our Big Cheque surrounded by representatives from Marie Curie ( in yellow ) and choir members. Of course the title of this article could apply to many of our dear lady choir members! ( we do love a cream tea! ) but in this instance it refers to the wonderful sum of money we were able to donate to Marie Curie Cornwall. 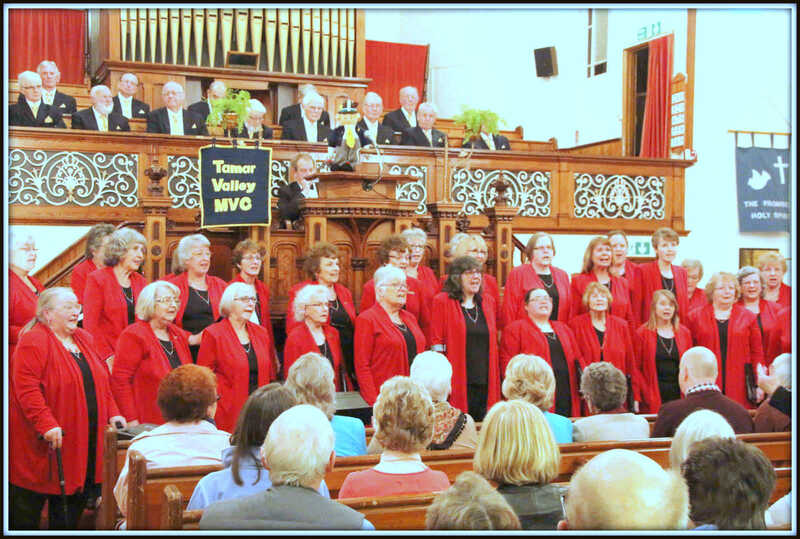 For the third time in a row we raised an incredible £1000 at a concert, this latest one being the superb musical evening that we shared with Holman Climax MVC in May. Here is a slide show of the concert – a good time was had by all! We had a lovely time at our first concert of the new season. Our friends from the Tamar Valley Male Voice Choir ventured across The Bridge to join us at Carnon Downs Methodist chapel and sing for Cornwall Down’s Syndrome Support Group. The gentlemen from Devon gave us some excellent performances despite being only half their usual number, the dreadful winter illness that many of us have succumbed to having taken its toll. We commend them on their fortitude under very difficult circumstances – thank you chaps, Proper Job! During the evening Sandy from The Cornwall Down’s Syndrome Support Group explained what life can be like with a Down’s child in the family, using a heart-felt, emotive analogy which touched us all. Hands delved deep into pockets and money was raised by ticket sales, donations and a gigantic raffle. Very soon, when all the money has been counted, we will be able to say how much we are able to donate to this hugely worthy local charity and we look forward to handing over a sizeable cheque. So many good people gave generously of their time, talents, energies and expertise and we thank them all for making a thoroughly enjoyable evening. 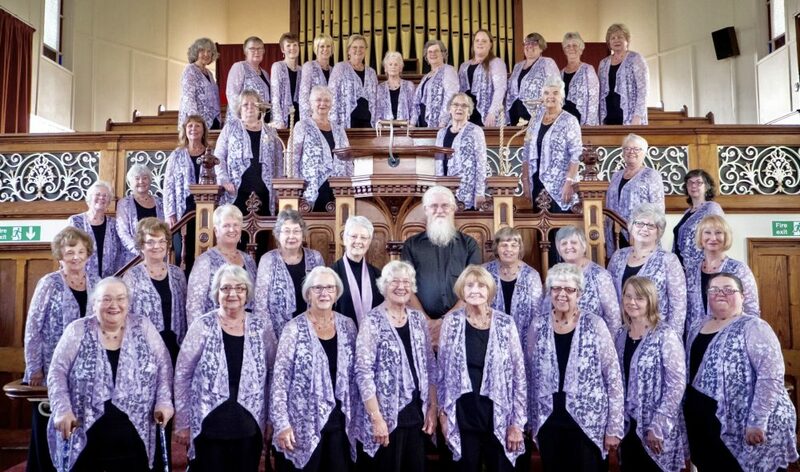 This was only the first of a whole series of concerts that the choir is featuring this year – click HERE to read about future events. And while we wait for the amount raised to be finalised here are a few photos of the evening.